EXHIBITED FEATURES: This photo shows the side view of how the panels interlock. It slides through and click – locked. The wavy ridges you see right in front of the handle are how the whole system stacks one on top of another. You can just grab a full crate that is “bookcase-style” or with the records facing towards you and flip it upright or “storage-style”. Then just stack it right back where it was. 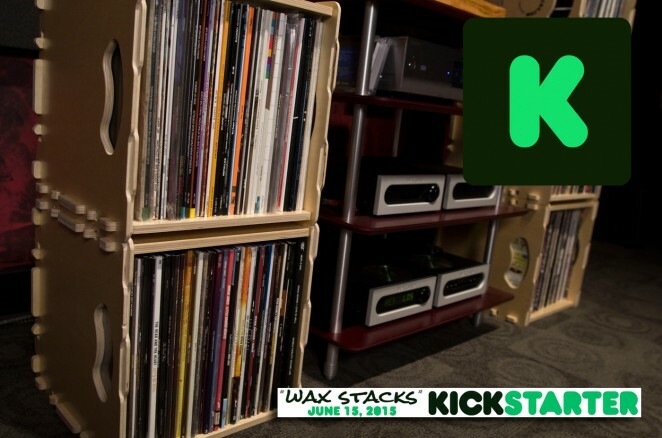 This makes it great for moving around lots of records and grabbing just the ones you want!